Supporting Our Valued Adolescents: A place to learn, share your strength, be positive, and grow. Using the internet to send invitations have come a long way since the earlier days of social media. The original “Evite” dates back to 1998 and can still be used, where flashy animations describing the event are sent in bulk to the guest list. Paperless Post is a little more formal and has the opportunity for customization. 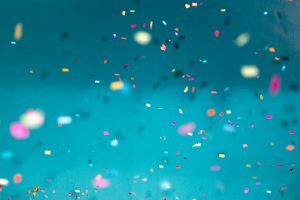 And then there’s always Facebook Events, where organizations, families, and individuals can publicly or privately invite a small group of friends to everyone to whatever they have planned. Invitations can be used for all sorts of meet-ups: Sweet 16s, parties, and even a casual get together with people that you haven’t seen in a while. Another way to get the word out lately is through Instagram, especially for teenagers. Facebook use has decreased with younger generations, and its events page is no exception. Using Instagram to plan an event reduces the fear of having a relative find out about it, and provides anonymity in who has created it in case they get caught. The page can even be remade and reused for future events too. According to some teenagers, those who are planning a larger party will create an Instagram account just for the event. It can get a little complicated from there depending on who’s organizing the party. The account can be open for anyone to join or be locked. If your follower request is accepted, that means you can come, and if the page requests to follow you, that means you’re invited. While the trend of Instagram Evites hasn’t quite caught on yet, it isn’t an exception with to the problems that social media can cause. 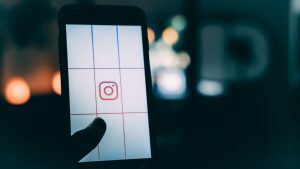 Because of Instagram’s algorithm, the event profile may show up on your feed or follower activity if you know someone who follows that account, even if you weren’t invited. The profiles may also list rules about who is invited, excluded, and who can bring who. These sorts of issues can not only increase the chances of FOMO, but can even feel targeted if you find out that you’re not invited. Instagram is already considered to be one of the worst social media sites for mental health, and this may not help its cause. While the party profile may be a convenient idea, the side effects may outweigh the benefits. Have you ever heard about or seen Instagram accounts for events? How do you feel about them? Do you think that they are more useful or harmful? Hi! 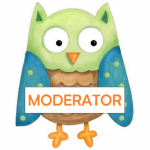 The moderator is a research team member with a background in behavioral health. We're here to help answer your questions and stimulate some great conversation! We don't provide therapy and are not available 24-7 so please if you are in crisis, go to our crisis page: https://sova.pitt.edu/i-need-help-now We look forward to talking to you! You must be logged in to view comments or post a comment. A research project from University of Pittsburgh and Children's Hospital of Pittsburgh of UPMC Division of Adolescent and Young Adult Medicine. Disclaimer: Please do not include personal information you would not like others using this site to see. The content of this site is moderated by the site owner on a regular basis.